THESE WORK EXACTLY THE SAME AS GENUINE CANON CARTRIDGES with the same microchips already fitted. These ink cartridges have become Ink Hub's biggest sellers. We have sold 1000's of these cartridges all throughout Australia and as fast as we get stock in they are selling. All feedback from our customers have been excellent! 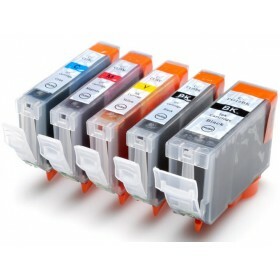 DONT waste big dollars on Genuine Canon CLI8 / Canon PGI5 ink cartridges. These cartridges contain slightly more ink than the genuine Canon cartridges. Thank you for your super quick delivery. You guys are awesome! I ordered cartridges yesterday, they arrived here in Sydney this morning and I know that you're in Adelaide. What fantastic service, thank you.